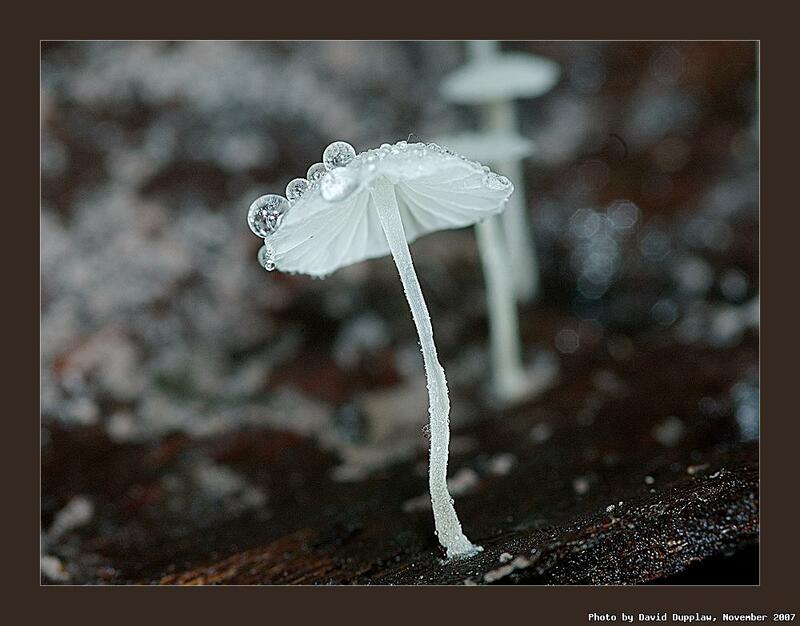 A tiny Mycena fungi looking radiant despite the grizzly conditions. Didn't get many photos on this fungi walk because it rained so much! Taken on the Kinson Common Fungi Walk, 17th November 2007.